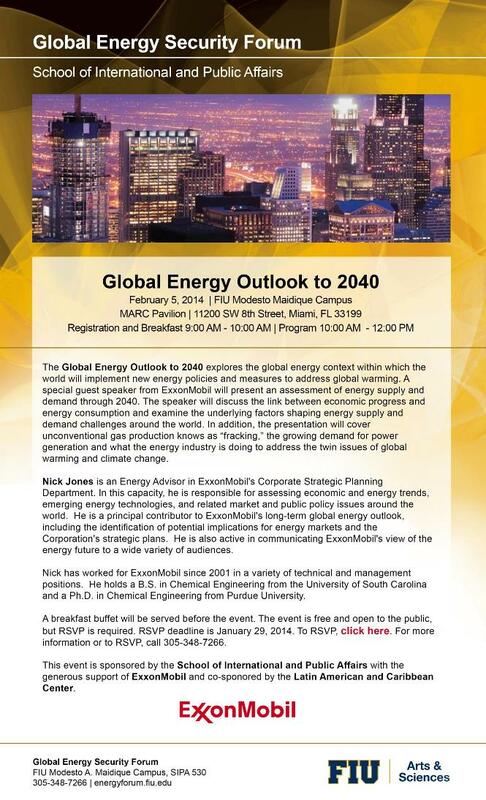 On Wednesday, February 5th, 2013, the Global Energy Security Forum in FIU’s School of International and Public Affairs will present "The Global Energy Outlook"
Nick Jones is an Energy Advisor in ExxonMobil's Corporate Strategic Planning Department. In this capacity, he is responsible for assessing economic and energy trends, emerging energy technologies, and related market and public policy issues around the world. He is a principal contributor to ExxonMobil's long-term global energy outlook, including the identification of potential implications for energy markets and the Corporation's strategic plans. He is also active in communicating ExxonMobil's view of the energy future to a wide variety of audiences. Nick has worked for ExxonMobil since 2001 in a variety of technical and management positions. He holds a B.S. in Chemical Engineering from the University of South Carolina and a Ph.D. in Chemical Engineering from Purdue University. 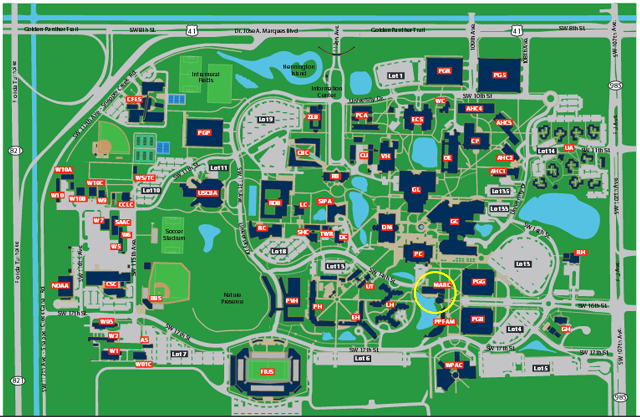 Parking will be made available in the Blue Garage (PGB on the map below) on the ROOF located off the SW 107th Street entrance. [In the map, Blue Garage is indicated as PGB]. Please park in the STUDENT (White) spots only. The event is free and open to the public, but RSVP is required. Please click here to RSVP. The event is sponsored by ExxonMobil and organized by the School of International and Public Affairs.